Haryana State Pollution Control Board, Panchkula has granted an authorization to NFL Panipat to operate a facility for collection, storage and disposal of hazardous waste generated vide authorization No. 313104317PITCTOHWM3620058 dated 13-06-2017, under Rule-5 of Hazardous Waste (Management, Handling & Trans boundary Movement) Rules, 2016. The authorization is valid from 01.04.2017 to 30.09.2021. It is further informed that display board is installed at the main gate of factory showing the quantity and nature of hazardous wastes in factory premises & the data up-dated on regular basis. 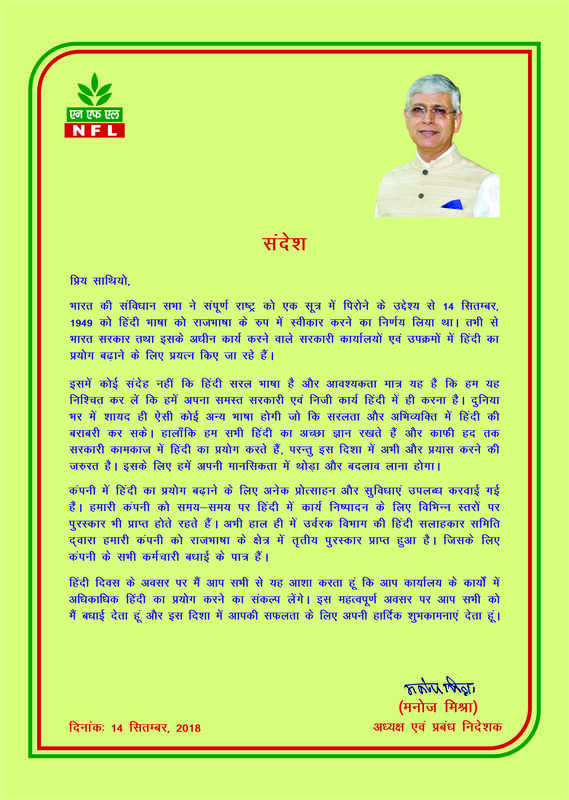 For and on behalf of NFL, Panipat.